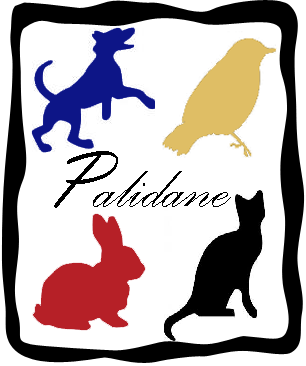 Palidane, the card game that Cal, Neiszhe, Nick and Meaghan play while they hunker down inside the cabin in The Gildonae Alliance, only exists in the kingdom of Ærenden. If you've looked for it online, you've probably already discovered that fact. I intend to write out the rules someday so everyone can play (and finish designing the deck of cards), but that side project has been waylaid by writing The Zeiihbu Master. Hopefully I'll be able to front burner the project this summer, but in the meantime, I want to share a deleted scene from Chapter 28 of TGA below, which details the basics of the game. I cut it to speed up the pace of the book, but that doesn't mean you can't enjoy the game anyway. Have fun! And please let me know if you decide to try it at home. As always, forgive the rough draft :). Neiszhe began dealing the cards again. Ten to each person, Meaghan remembered. Though she still had not figured out all of the rules for the game, the basics were easy enough to grasp. The deck of cards they played with consisted of two sets each of four suits – black cats, blue dogs, red rabbits, and gold birds. Each suit had thirteen consecutive numbers. She needed to collect two pairs, and a run of five cards in the same suit. She could lay them down as she collected them, but then other people could play their cards on hers. It seemed a good strategy to hold the cards in her hand as long as she could. Over the course of the game, she also had to ensure she traded cards with every player once. She had to request a specific card by name, and then trade it for one of hers. If she saw them pick up the card from the discard pile, she could guarantee she requested the right card, but if she did not and requested a card they did not have, she had to collect five cards from the draw deck as penalty. Those cards could only be used once the person to her left started laying down cards. The first player to get rid of all of their cards won. It seemed confusing at first, but Nick assured her it would become clearer with practice, and that eventually she would know enough to win games. She wondered if she would ever get the chance. Nick was not joking when he said that Cal won every hand. She found his luck to be frustrating, and began to wonder if people hid cards up their sleeves on this planet as they did on Earth. Picking up her cards, she sorted them. They looked promising. She already had one pair of sevens and three cards, although not consecutive, that came from the same bird suit. If she drew well, she could connect them in a reasonable amount of time. The other cards seemed useless, so she moved them to the front of her hand. Nick drew from the deck first and discarded. Cal did the same. When it was her turn, she picked up a card from the deck. It matched the thirteen she held, so she moved the set to the back of her hand and discarded an eight. Neiszhe picked it up, discarding a bird suit card Meaghan needed. After Nick took it and then discarded a two, ending his turn, she made her first request. “The bird eleven, please,” she said, holding out her hand. He sighed and gave it up, accepting a two in turn. He scowled when he saw it, and then muttered something under his breath about getting even. She laughed, noting that Cal picked up the two Nick had discarded. The game moved more quickly after that. Cards were picked up and discarded, grumblings and complaints were joined with laughter. Cal took the two from Nick that Meaghan had handed to him. Meaghan stole a bird nine from Neiszhe, and then she felt her heart jump on her next turn when Nick discarded the last bird card she needed to complete her run. She picked it up, but she could not lay her cards down yet. If she did, she would go out, and she still needed to request a card from Cal. Her heart raced with excitement, but soon plummeted when Cal raised his hand and extended it toward her. “I’ll take that,” he told her. She cursed and handed it over, taking a useless card from him in turn. He promptly laid down his two sets and run of five, then applied his last card to the run Nick had laid down two turns before, during the same round that Cal had requested a card from Neiszhe that found its way to the discard pile shortly after. The move had puzzled Meaghan, but now that she had been defeated because she failed to meet the required trade rule in time, she understood. Cal did not need to cheat at this game. He was just as good at strategy as his brother, and Meaghan had never been able to beat James at chess either. UCF Book Festival: Panel Topic Announced! The Zeiihbu Master Release Day Announced!